Christmas season is here and that means decorating time. 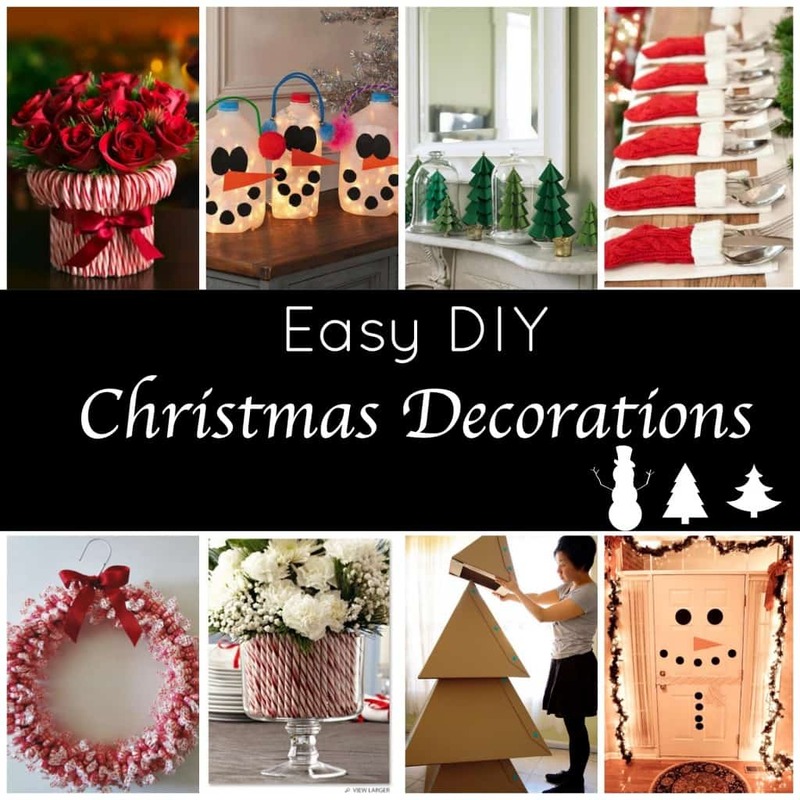 We have some super Easy Christmas Decorations to DIY your house! No need for expensive decor, we have tons of inexpensive and adorable ideas! Holiday decorations don’t have to cost you a fortune! Your kids will fall in love with our Felt Christmas Tree that they can decorate! Our Peppermint Candy Bowl is also always a huge hit! 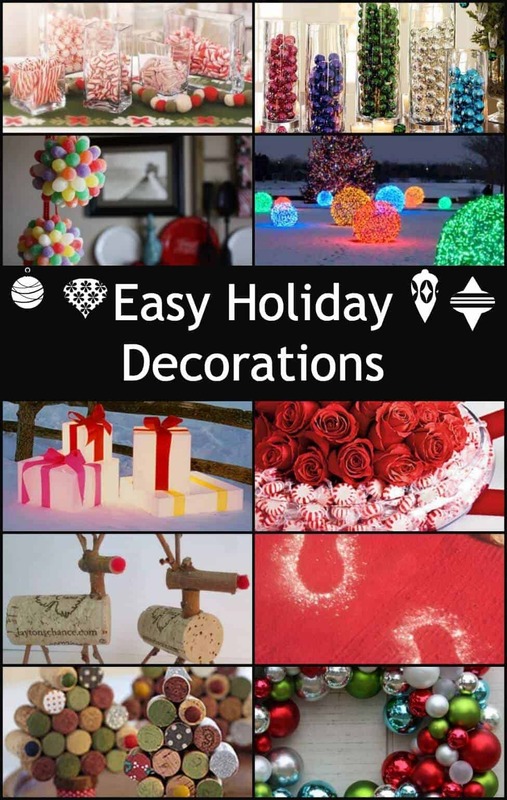 There are SO many great ideas out there for easy holiday decorations – it was difficult to narrow it down as to which to highlight! When I look for DIY projects, I always look for ideas that even I can make! What’s great about these is that almost all of them require very little time and many are made from items that you will already have around your house. Nothing says Christmas like colorful ornaments! 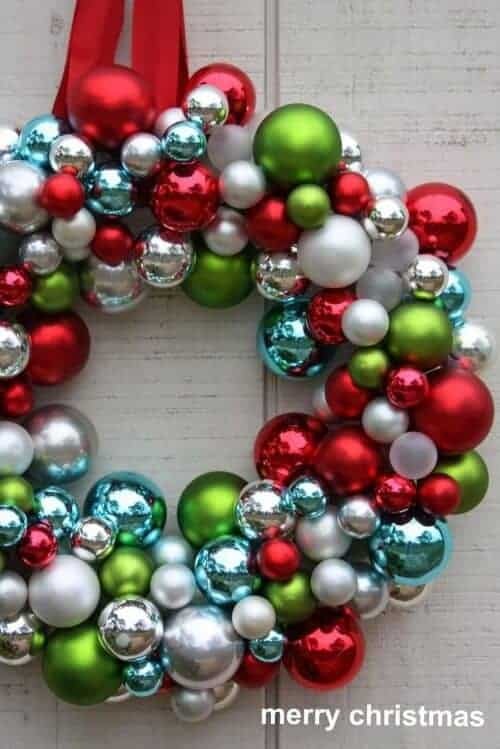 This easy to make ornament wreath will welcome your guests with a jingle! Literally, if you add a few jingle bells to the wreath! Christmas Light Balls from Christmas Lights Etc. 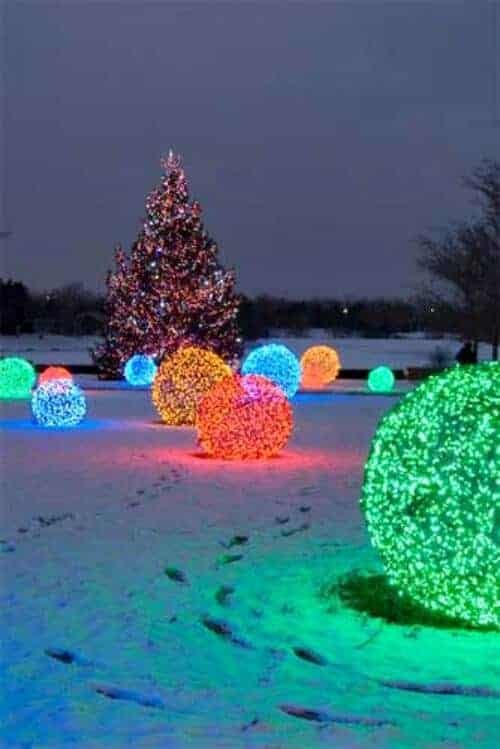 Don’t you think these Christmas light balls just look magical! They have a full tutorial on their site, but it really comes down to getting creative with chicken wire! I just love how warm and festive it looks! We all have tons of vases sitting around the house – well, it is time to pull them out and cute them up! 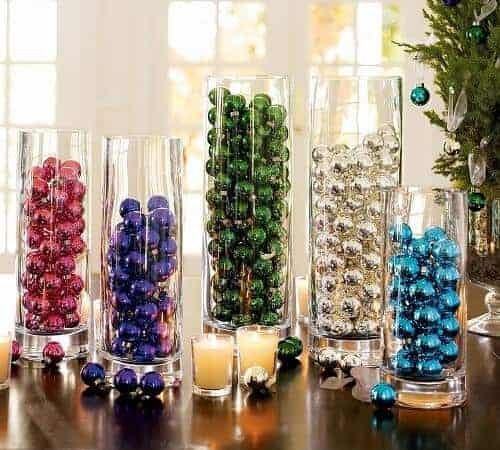 This is such a great idea – I love the different colored ornaments and all of the different peppermints. What’s great is that this can be done for any holiday – imagine how cute this would be for Valentine’s Day! Edible ornaments – genius! (and soooo pretty!) 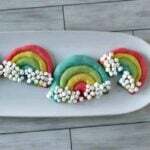 So basically, she used styrofoam balls and hot glue gunned gumdrops to them. Add a hook and some string and there you have it! 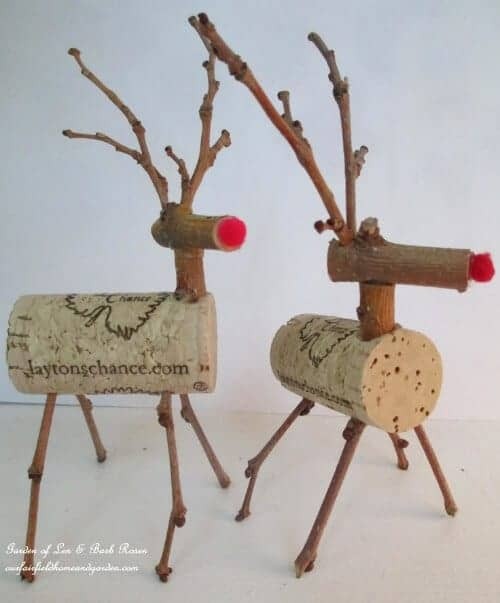 Enjoy a bottle of wine and make these cute reindeer. As the holiday’s get closer I can see a lot of these around my house and a lot of empty bottles of wine! 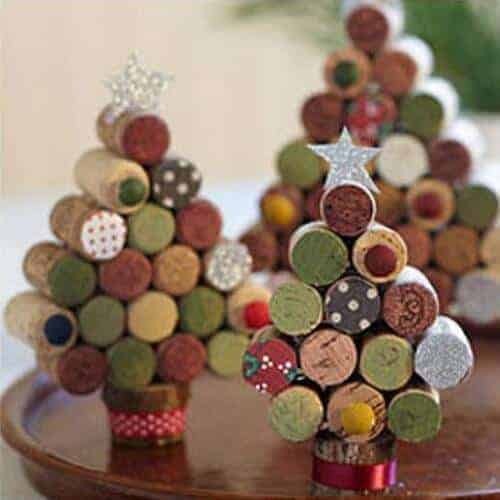 Okay, so I know I am “cork-focused” in this post, but we must be responsible and use our old corks – there is a cork shortage after all! This is actually easier than it looks and will be adorable out on the front yard! 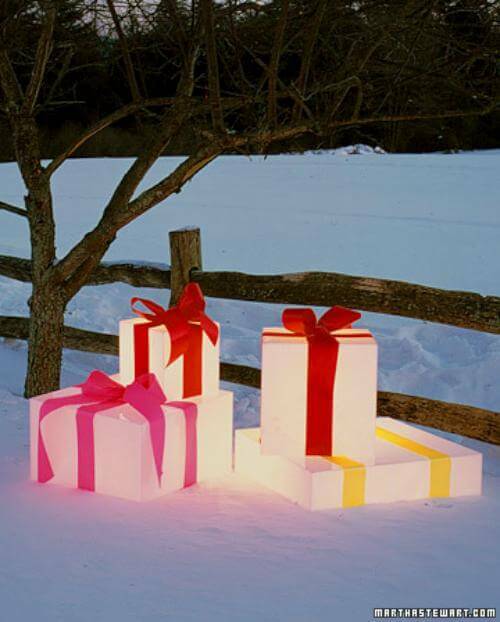 You just take ready-made plastic boxes and an outdoor light and hot glue some bows on top! 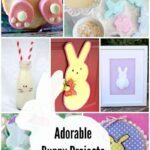 Super cute, super cheap and super easy! 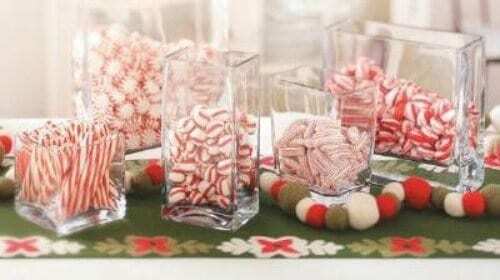 I love how simple and beautiful this peppermint candy vase is. 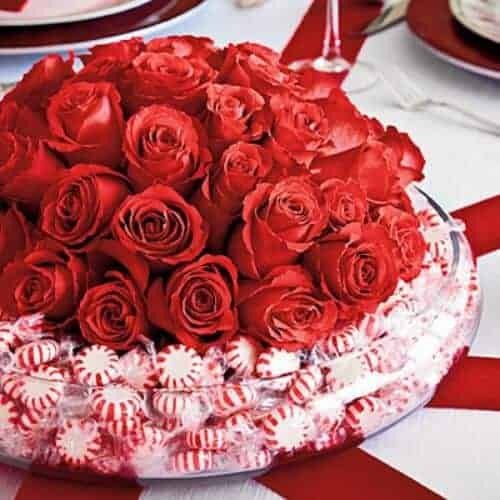 Just place a low bowl of roses in a larger bowl and fill the space with candy. It doesn’t get much easier than that! This is genius and hilarious!! 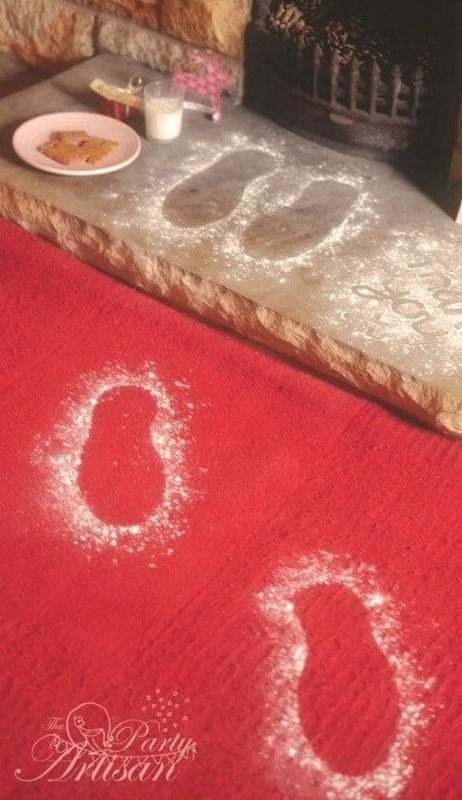 A little baking flour and a pair of boots and you have caught Santa red-handed! 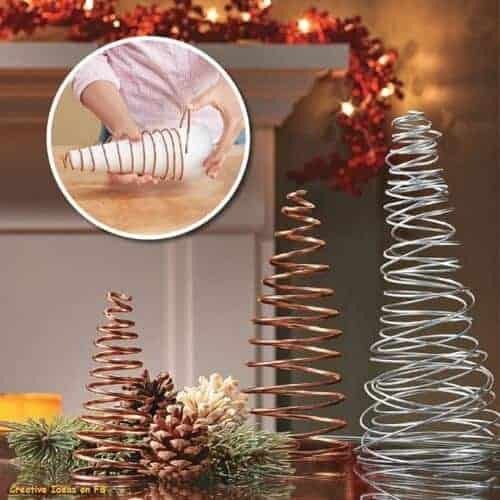 Simply wrap the wire around a foam cone to make these pretty Christmas trees! 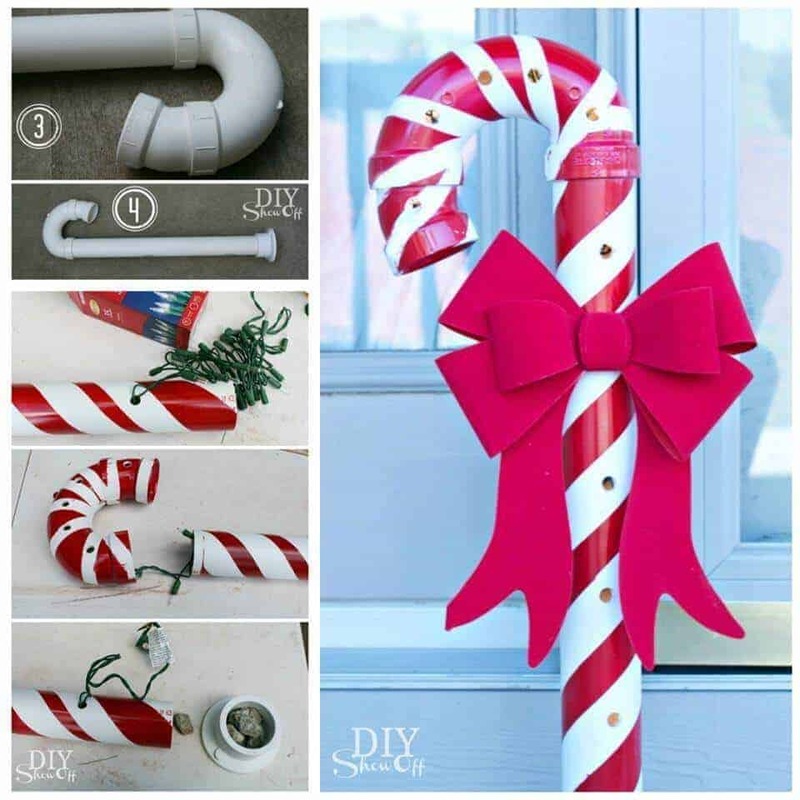 Another easy and inexpensive holiday decoration! These would be really pretty on the mantel. Thanks for sharing such FABULOUS DIY ideas! These are all so cool and all look like anyone could do them. I’m looking forward to doing a few of them myself. Awwwww – thanks so much, Christine! SO glad you liked them! Love the wire trees. What gauge wire did you use? Any hints on where to find it / how expensive it is? Thanks so much for including my little twig & cork reindeer in your easy Christmas decorations post! So glad you enjoyed them! What gauge of wire do you use for your Wire-Wrap Trees? This is actually an idea I found on the internet and LOVED it…haven’t made it yet, but I plan to! I am not sure what gauge they used, I couldn’t find the original instructions (I looked and looked!!) I will try to find out and get back to you! Where do you get the plastic boxes for the lighted yard decorations? I would use plastic storage boxes! Target, Lowes, Container Store, etc. 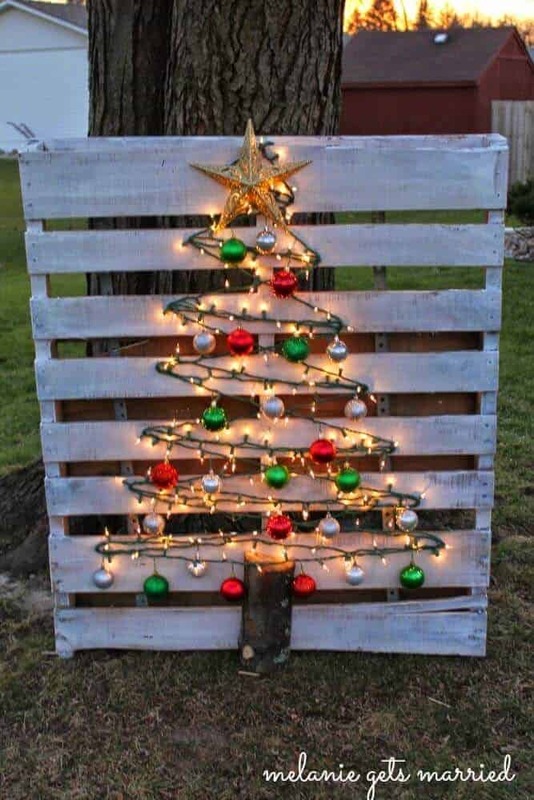 I am also curious what gauge wire you used for the tree. I live in a remote area and need to order it online as I can only find the really thin stuff here. Thanks! please let me know when you determine what kind/gauge wire is used for the wire trees! Love this! Your ideas are amazing! 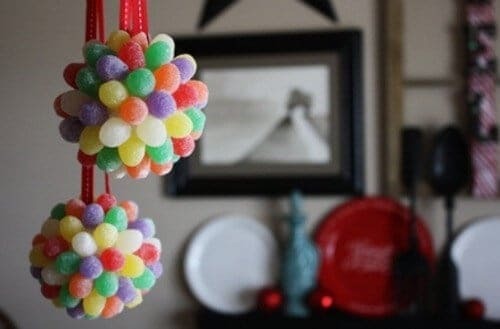 I’m always looking for crafts to make and I love these, I used the gumdrop ornament for my completely edible Christmas tree this year! Taylor – you MUST take a picture and share it with me!!! What are the big colorful balls and how do you do them. I tried to click to read more but it did not take me to them.